Due to the increasing number of deaths taking place on construction sites, city investigators are showing up undercover at jobsites and arresting workers that are using fake safety training cards, according to the Daily News. Proper PPE? Be SURE It Is! If you have a giant stack of the best Personal Protective Equipment (PPE), but don’t use it, or just as important, don’t use it properly, are you trying to become an OSHA statistic? Knowing how to protect yourself from occupational hazards is a critical part of your job. A few years ago, I was taking my annual HazWOPER 8-Hour Refresher class and a fellow student shared his story about PPE. Part of his job was to open and close valves that allowed aviation fuels to flow to pumps used to fill airplane fuel tanks. While conducting this task, he was often exposed to fuel vapors. After complaining about the headaches and dizziness that he was experiencing, his employer had him fit tested for a respirator. However, even with the proper-fitting respirator, he still had the same symptoms of overexposure. His reply, “I am using what was given to me.” Two days later he called me to tell me that he had been given HEPA filters – the WRONG cartridge for his petroleum vapors. Instead he should have been using organic vapor cartridges. Without correction, this COULD have been become a very dangerous problem – just because of the wrong cartridge in the right respirator! Proper Protection: Where Do You Start? A perfect place to start understanding how to protect yourself is to know what you are dealing with on the job. 1) What are the potential hazards? Is there more than one? Not sure? Ask questions! Make sure that you understand the hazards and risk before you are satisfied? March 5-11, 2012 marked National Sleep Awareness Week, and all over the Internet, employers, bloggers, researchers, and other scientists have marked the occasion by bringing up studies performed by The National Institute for Occupational Safety and Health (or NIOSH) regarding sleep deprivation, sleep and work schedules, and sleep loss. At the heart of this research lies an examination of several different types of workers, including nurses, police officers, truck drivers, manufacturing laborers, and white collar workers. Of particular importance to these sleep loss and sleep deprivation studies are those who perform shift work and have night-time work schedules. There are several research studies that are either ongoing or have been completed regarding sleep deprivation in truck drivers, manufacturing workers, and even white collar workers. Large amounts of data collected (from long-haul truck drivers especially) show a wide array of sleep disorders, including sleep apnea, fatigue and the overall lowered safety expectations from drivers who do not get enough quality sleep. Another group being studied is American nurses, especially pregnant female nurses. In collaboration with the Harvard Nurses' Health Study, results are showing that an increased number of adverse reproductive outcomes and menstrual cycle abnormalities can be attributed to shift work; especially those studied who work a night shift. In relation to the sleep deprivation and sleep loss health issues such as fatigue, depression, headaches, malaise, and reproductive issues, the studies point out that work hours that are too long for good health can actually attribute to the decline of healthy white blood cells, which are the first line of defense against such devastating diseases as cancer and autoimmune disorders. In an effort to stem the adverse health effects and potential safety issues inherent in shift workers and those who work too many hours, NIOSH scientists are seeking development and training programs for managers and workers in several different fields of employ, including those mentioned above. They hope to raise awareness of the problems, encourage healthy sleep habits, and foster a healthier management style that would see more reasonable hours for workers. The dissemination of this information is being brought about through workplace posters, websites, webinars, online training courses, and public service announcements. Bringing in the New Year is always an exciting time for everyone. People enjoy setting new goals, looking forward to the journey that the New Year brings and starting that resolution they promise they are going to keep. While the New Year brings many things to look forward to, it also is a time where we look back at the year that has passed and take a moment to reflect on what has happened. At Emilcott, 2011 was a successful year where we were able to tackle new projects, serve our clients and continue to respond to current industry issues in the environmental, health and safety field. Though we have had many great memories from 2011, we would like to mention some of the things that stood out most in our business for 2011. Energy Sector  Emilcott has been thrilled to be able to participate in many different initiatives within the energy sector. Regionally important to the growth of our economy, the ongoing infrastructure improvements have given us substantial health and safety support work. In EHSWire during 2011 we addressed many occupational hazards as Occupational Heat-related Illnesses where we went over the symptoms that workers may experience, as well as what should be done if someone does experience these symptoms. Besides dealing with working conditions such as heat, Emilcott also provided information on the truths about occupational slips, trips and falls which ended up costing American businesses $13.67 billion in workers compensation costs in 2008. Adhering to proper safety protocols and preventing injuries is something that benefits businesses and their workers. OSHA provides a Walking/Working Surfaces  Safety and Health Topic page which provides links to all the applicable standards. 9/11 Tenth Anniversary  focused the changes that have occurred since 9/11/2001 such as the new precautions that have taken place on the American Chemical Security issue. The DHS (the Department of Homeland Security) has been increasing their focus on utilities and chemical facilities which may become targets for terrorist activities and the DHS Chemical Facility Anti-Terrorism Standard (CFATS) now requires completing and submitting a Top Screen analysis to the DHS. Though Emilcott has had many remarkable memories of 2011, we felt these 4 really left an impression on our business. Emilcott is privileged to know that we were able to assist our clients in many different businesses not only in 2011, but throughout our history. Emilcott looks forward to a productive 2012 and we are excited to see what this year has in store for us. 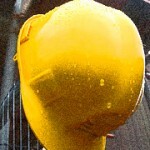 Do you have any environmental, health or safety concerns for 2012? If so, please share them with us below! "343" is a symbol of great sadness to members of the FDNY and their families as 343 is the number of FDNY firefighters who died on September 11, 2001. That staggering figure is remembered quite readily when recalling the events of that day and during the remembrances that have followed. 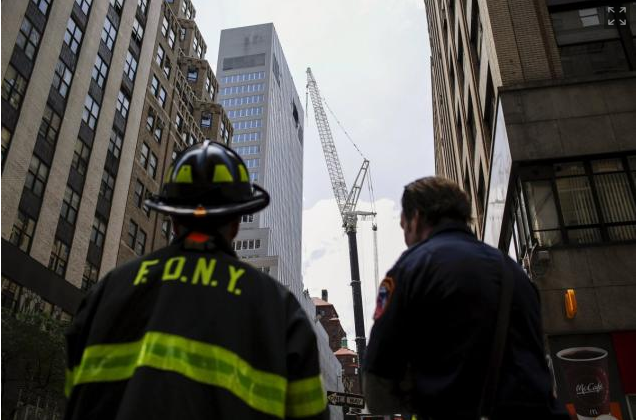 However, almost six years later, the lives of two additional NY firefighters were claimed during the demolition of the 9/11-damaged Deutsche Bank Building. The 41-story Deutsche Bank Building stood adjacent to the World Trade Center and was severely damaged by falling debris and smoke when the Twin Towers collapsed. The damage to the skyscraper was so extensive that it had to be demolished. However, as the federal EPA requires, before it could be demolished, all asbestos-containing materials needed to be removed. By August 18, 2007, demolition was well underway and the building now stood at only 26 stories tall. Around 3:40 pm, a massive seven-alarm fire broke out as a result of a discarded cigarette in the asbestos decontamination unit on the 17 th floor. The building had not been inspected by the Fire Department since March, when it should have been inspected every 15 days. As a result, a crucial but inoperable fire standpipe forced firefighters to raise hoses up from the street to combat the flames. Inside the building, three firefighters struggled to pull a hose through the deconstructed building. Only one of these men survived. The configuration of the asbestos abatement added to the difficulty of fighting a fire in an already structurally-compromised building. White plastic sheeting was used to partition the floor area into separate zones. All these partitions created maze-like conditions for the firefighters. Numerous zones were under negative pressure, as required for asbestos abatement, possibly drawing smoke and fire into localized areas. Stairwell doors were blocked by wooded hatch covers as part of the construction of the asbestos containments. Plastic sheeting, construction debris, and exposed lumber in partitions provided additional fuel. These contributing conditions created by the asbestos abatement project have been recognized by several authorities, and in an effort to maximize safety, New York City enacted a number of new laws to ensure that asbestos abatement projects are conducted safely. These laws impact the ways that asbestos projects are filed, approved and inspected, and involve new levels of cooperation among the agencies that oversee asbestos and construction safety: the NYC Department of Environmental Protection (NYC DEP), the Department of Buildings (DOB) and the Fire Department (FDNY). Most notably, the NYC DEP created the Asbestos -Technical Review Unit (A-TRU) to ensure that asbestos abatement is conducted safely and a new process for filing for asbestos permits called Asbestos Reporting and Tracking System (ARTS). If there is an impact to any of these fire protection items then a comprehensive Work Place Safety Plan must be developed for the project indicating abatement containment areas and systems, obstructed and temporary exits, tenant protection and a description of any measures that will be taken to mitigate compromised fire protection systems or means of egress. As a final item intended to promote life safety during abatement projects, the asbestos supervisor must inspect exits daily to ensure that there are no exterior blockages or impediments to exiting. If any blockages or impediments are identified, work must stop until the blockage has been removed. Essentially, deconstruction and asbestos-abatement work cannot compromise the safety of workers and firefighters. As Carrie Bettinger noted in a past EHSWire blog,  In our society and legal system it seems that, yes, someone (or many) has to tragically die before change and regulation are considered. In this case, the tragedy was 343+2. Hopefully the A-TRU process and increased oversight from NYC DEP, DOB, and FDNY will prevent another similar tragedy from occurring. Postscript: The last of the Deutsche Bank tower criminal trials were completed in July, 2011. More information can be found at http://www.nytimes.com/2011/07/07/nyregion/final-defendant-is-acquitted-in-deutsche-bank-fire-trial.html. Need Respirators for Emergency and Post-Emergency Response? When recalling our onsite environmental, health and safety work following 9/11, Emilcotts health and safety staff often discuss that respirators were either not worn or improperly worn by many first responders and subsequent waves of workers and construction crew members at Ground Zero. Not surprisingly, ten years later the news media are churning out plenty of stories detailing the life-threatening health effects developing in many of these people -- possibly linked to their exposure to airborne dust and chemicals present at the World Trade Center site. the truth about occupational slips, trips and falls! Quite the opposite -- slips, trips, and falls are a very costly and serious worker safety issue. In 2008, these incidents cost American businesses a staggering $13.67 billion in direct workers compensation costs. Thats more than any other cause and more than the combined cost of the third through sixth ranked causes. Result in back injuries, strains, sprains, bruises, broken bones, concussions, and even death! Cause 15% of all accidental deaths, and are second only to motor vehicles as a cause of fatalities. Were the fourth leading cause of fatal work injuries in 2008 (13.4%, or 700 out of 5,214 fatalities). Rank as the second leading cause of disabling occupational injury. Are the third leading cause of all occupational injuries/illnesses (21.8%) and injuries/illnesses resulting in days away from work (21.4%). How can slips, trips, and falls be prevented? Promptly remove ice and snow from walkways, parking lots, etc. 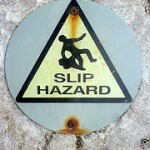 Dont Slip Up on Safety! Bruising, twisting or breaking a bone makes your work life and personal life extra challenging  its worth it to take a few minutes to prevent the accident from ever happening. On TV and in the movies, slips and other footing mishaps are carefully orchestrated with hidden padding, stunt doubles, some great camera tricks, and, of course, an endless supply of retakes. When youre working on the job, theres only one chance! Using the tips listed above, take a look around your workplace to see if it meets the criteria to prevent slips, trips and falls. Dont forget to look at your own feet to see that you are properly dressed for the environment and job duties. If you see a situation that is unsafe or could potentially be a slip, trip and fall hot spot, make sure you point it out to your coworkers and safety officer so that a permanent solution can be found. Have you experienced a slip, trip or fall on the job? Could it have been prevented? What was the outcome for you and your company? According to the CDC, poison ivy is a common poisonous plant found throughout the United States. It can be found in forests, swamplands, roadsides, backyards and even in urban environments. That means, wherever you are, poison ivy could be right there! And, its not always easy to spot. When trying to identify this plant, consider the species, the season and your geographical location as the physical characteristics can vary. Being able to recognize local varieties, especially at a work site, is your key to avoiding exposure. Inhaled aerosolized particles from burning the plant. When working in areas infested with this wicked plant, personal protective equipment (PPE) like gloves and boots, long sleeve shirts and long pants tucked into boots will help. Be extra careful to not touch the exposed clothing when removing it and wash it in the hottest water possible using copious amounts of soap and water with lots of room to agitate. If youre not sure  wash it again as you can get a rash from clothing or tools that have the urushiol resin from even years back! Always wash your skin with plenty of soap and cold water after exposure. (Hot water opens your pores and lets the resin absorb into your skin.) If you can get scrubbing within ten minutes of contact, you may have dodged the poison ivy bullet! And, always clean all tools and equipment that come in contact with the plant with soap, water and a bleach solution to avoid re-exposure. Follow comprehensive decontamination methods  treat the urushiol resin as a chemical contaminant! Often, the rash looks like a straight line because of the way the plant brushes against the skin. But if you come into contact with a piece of clothing or pet fur that has urushiol on it, the rash may be more spread out. The reaction usually develops 12 to 48 hours after exposure and can last up to eight weeks. The severity of the rash is dependent on the amount of urushiol that gets on your skin. And, of course, if the reaction seems to be severe, is spreading or lasting longer than a few weeks, ask for immediate professional medical attention. think about the uncleared, overgrown or unkempt places that surveyers, highway workers, laborers, HazWOPER workers, engineers, inspectors, construction workers, and landscapers, often find themselves! And dont think that youre immune either. My coworker, Paula Kaufmann, CIH, wrote about her overconfidence that she had not been sensitized to urushiol (and thought she was immune and her inevitable reaction to repeated exposure. Maybe she should have paid attention to Emilcotts poison ivy awareness and other outdoor hazards that is a part of many of our health and safety training courses! Have you had an experience with poison ivy on the job? Were you prepared ahead of time? If not, what happened? As an occupational and safety professional, Ive noticed that the Occupational Safety and Health Administration (OSHA) has been busy over the last few weeks! The following is a summary of highlights of interest to Emilcott clients. Did any of these catch your attention? Announcement of a final rule to help keep OSHA standards up-to-date and better enable employers to comply with their regulatory obligation. The concept should allow OSHA to easily remove outdated requirements, streamline and simplify standards without reducing employee protection. The rule is to be published soon in the Federal Register: OSHA Standards Improvement Project-Phase III final rule. Benefit to employers: OSHA estimates that the final rule will result in annual cost savings to employers exceeding $43 million. Now thats an improvement to cheer about! Clarifying that the provisions of Appendix D, which contains information for employees using respirators when not required under the standard, are mandatory if the employee chooses to use a respirator. Reopening the public record on proposed record-keeping rule to add work-related musculoskeletal disorders column. This keeps popping up! In January of 2010, OSHA proposed to revise its Occupational Injury and Illness Recording and Reporting Requirements regulation to restore a column to the OSHA 300 log that employers would have to check if an incident they already have recorded under existing rules is an MSD. On January 25, 2011, OSHA withdrew this proposed revision. On May 17, 2011, OSHA reopens the public record on a proposed rule. Launch of a targeted employer survey to collect information that would improve the development of future rules, compliance assistance and outreach efforts. The survey will be sent to private sector employers of all sizes and across all industries under OSHA's jurisdiction. Questions include whether respondents already have a safety management system, whether they perform annual inspections, who manages safety at their establishments and what kinds of hazards they encounter at their facilities. Participation in the survey is voluntary. The presentation describes safety methods for preventing injuries and deaths from falls, and explains techniques currently used by employers during various stages of construction. These techniques involve the use of conventional fall protection systems including safety nets, guardrails, and personal fall arrest systems such as body harnesses, lanyards and lifelines. The presentation is among a series of guidance materials on OSHA's Residential Fall Protection Web page. he informs me that he is wearing fall protection and the roof has anchor points! So, can you tell that Emilcott is pretty excited about these changes? Instead of putting the onus on employers to become more aware of OSHA, OSHA is streamlining existing rules to match other government agencies (radical! ), listening to employers before leaping into new regulations, and looking at alternative messaging techniques to market segments that frequently fall in the cracks. Are there any highlights that you think important to you or American businesses? Any predictions for June? In 2010, 782,000 students nationwide attended OSHA Outreach Training courses with an 11% increase in students attending the 10-hr Construction Industry Training -- the highest attendance of all courses offered. What is the driving force for the high and rising class attendance? Bids for construction projects with both public and private funding now require that employees of contracting companies complete and pass the OSHA Outreach in Construction courses to reduce project liability and cost. What is Construction Industry Outreach Training? The OSHA Outreach Training Program for the Construction Industry teaches construction workers how to identify safety and health hazards and how to avoid and prevent these hazards and injuries with the  Focus Four Hazards of falls, caught-in or between, struck-by, and electrocution. The training also covers workers rights to a safe workplace, employer responsibilities, and how to file a complaint to OSHA. The Standards applicable to the Construction Industry are contained in Section 29 of the Code of Regulations, Part 1926.
Who Should Attend a 10-hour Construction Industry Training Course? Workers must complete the OSHA 10-hr Construction Industry Training Course to work on any publicly-funded construction project in Connecticut, Massachusetts, Missouri, Nevada, New Hampshire, New York, and Rhode Island. Nevada also requires those with supervisory or safety responsibilities complete the 30-hr course. Many private companies are adding this training to their bid requirements as well! Why? This course is an excellent introduction to health and safety programs for workers new to construction or when it is time to create a paradigm shift in attitudes about safety. Although the OSHA 10-hour Construction Industry course is designed for entry-level construction workers, many organizations include ALL their site personnel in this training because EVERYONE is responsible for safety. OSHA, government and private contractors, and insurance providers recognize the completion card as an indication of the importance of safety and health for both the individual and the organization. In fact, Workers Compensation insurance providers often will reduce rates for companies that recognize training as part of their Health and Safety Program and include this essential training to their staff. Based on the requirements established by OSHA, Emilcotts 10-hour Construction course provides important information about the recognition, avoidance, abatement, and prevention of safety and health hazards in workplaces in the construction industry. This training assumes no prior training nor requires any prerequisite training. Much of the Emilcott Training Institutes 10-hr Construction Industry course is interactive and hands-on to ensure that key health and safety concepts are retained . More importantly, our courses are taught by instructors with real-world experience. Credentials and certifications provide a way to verify competency in particular fields but real-world experience should not be discounted. Its one thing to talk about trenching hazards, its quite another to actually work around them. This experience allows Emilcott trainers to put the material in perspective and help students make the connection between theory and practice. With twenty-five years of consulting experience with all types of companies, projects, work sites and hazards, we universally find that the OSHA Outreach Courses for both Construction and General Industry help everyone at the site get it when it comes to site safety! When part of an implemented Health and Safety Plan, the education provided by quality OSHA Outreach courses has helped our clients reduce their accident incident rates AND insurance rates! Do you have examples of the OSHA Outreach Training raising the bar of safety at your site? Is there something youve learned in an OSHA Outreach Training Course (Construction or General Industry) that has helped you on the job?